-Myth One: Every American will have access to care. -Myth Two: If you like your doctor and your insurance, nothing will change. 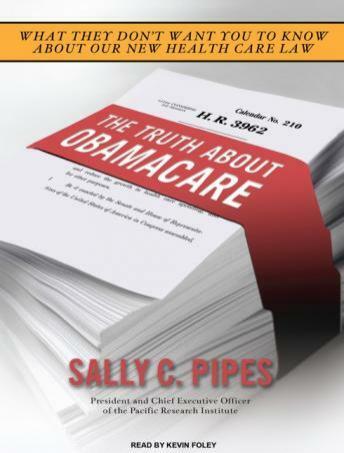 -Myth Three: Obamacare will save us from 'spending too much' on health care. -Myth Four: Obamacare will make our health care more 'efficient' the way that European health care is-or actually is not. The Truth About Obamacare reveals how, contrary to its promises, Obamacare will make health care more expensive, limit your options, lead to deteriorating medical care, and weaken America's already frail economy.